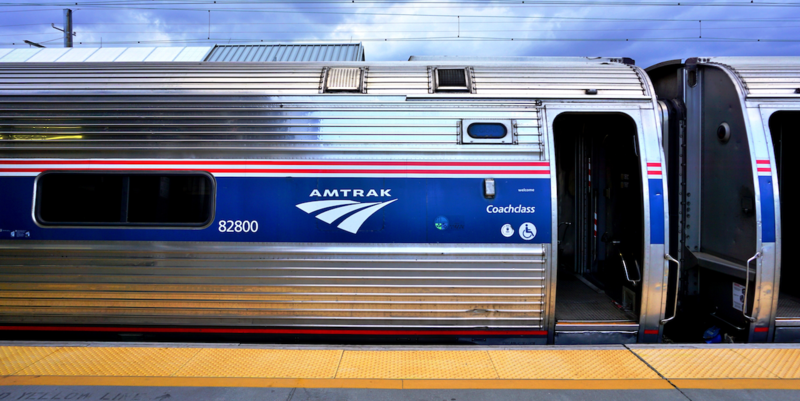 PHILADELPHIA – A train conductor injured when forced to access override switches and levers needed to open the train’s doors open has initiated a Federal Employers Liability Act (FELA)-based lawsuit against her employer Amtrak, who believes her claims are precluded through a number of avenues and should be dismissed. Shirelle Ellison-Robinson of Colwyn filed suit in the Philadelphia County Court of Common Pleas on Aug. 27 versus National Railroad Passenger Corporation (Amtrak) of Philadelphia. On Jan. 5, Ellison-Robinson was working as a train conductor for Amtrak on a train traveling from Philadelphia to New York City. Snow, ice and inclement weather were causing the train doors to malfunction, causing the plaintiff and other conductors to apply “de-icer” and use a sledgehammer to break ice away from the doors. It took Ellison-Robinson, another conductor and great physical effort to finally close the doors and have the train be ready to leave, the suit says. However, the doors spontaneously opened during the train ride and allowed ice and snow to accumulate in the vestibules, posing a danger to train passengers and employees. When prior methods used to close the doors failed, Ellison-Robinson says she had to open a stuck overhead trap door to access “override” switches and levers to assist in closing the doors. But this process required the plaintiff to balance awkwardly in reaching for the trap door and as a result, her left arm would barely move the following day. The suit explains as a result of Amtrak’s alleged negligence, Ellison-Robinson suffered severe injuries to her left shoulder and arm, as well as post-traumatic stress disorder, requiring her to be treated with injections in her shoulder and recommendation for corrective surgery. In new matter submitted Oct. 3, Amtrak alleged Ellison-Robinson’s complaint, among other reasons, failed to state a claim upon which relief could be granted, that her injuries were caused by her own negligence and a pre-existing, intervening or superseding cause, and barred by the doctrines of waiver, issue preclusion, res judicata, judicial estoppel, release and by federal law. Through a reply to the new matter filed on Oct. 16, the plaintiff categorically denied it as conclusions of law to which no response was required. For negligence, the plaintiff is seeking damages in excess of the statutory arbitration limits as compensatory damages, together with such other relief as the Court shall deem appropriate and just, in addition to a trial by jury. The plaintiff is represented by Samuel Abloeser of Williams Cedar in Philadelphia and C. Perrin Rome III of Rome Arata Baxley & Stelly, in New Orleans, La. The defendant is represented by Matthew P. Strauskulage and Yuri J. Brunetti of Landman Corsi Ballaine Ford, also in Philadelphia. Want to get notified whenever we write about Rome, Arata, Baxley & Stelly LLC ? Sign-up Next time we write about Rome, Arata, Baxley & Stelly LLC, we'll email you a link to the story. You may edit your settings or unsubscribe at any time.